Time is running out! In just a few days, I’ll be in Winnemucca for Shooting the West (shootingthewest.org) and will be making my presentation Saturday afternoon. I’ve been working on the presentation for a couple months, going through my pictures from the last couple years to select the best ones to showcase. Last week, I was feeling good about my selections and was starting to make the cuts necessary to meet my 15 minute time slot. I asked my lovely bride to go through the slide show with me, as the cuts were becoming more difficult to make. At the end of the first run through, she says that I haven’t included my best shots! Holy cow!! We opened up the hard drives and looked for the shots that she thought I should include. After adding in another dozen or so, I started the ‘deselection’ process all over again. I have the presentation down to 78 slides now, which is on the high side of my original target of 70+/-. I think it will work. There’s time for more fine tuning. I made a big addition to my editing toolbox this week – software to calibrate the color on my computer monitor. ColorMunki from X-Rite is my choice – simple to install and use. The ‘before and after’ showed small adjustments in the colors, but I move forward with more confidence in my editing. I managed to get out a bit – I didn’t lock myself in the study, after all! Here’s a few images from the last couple weeks. 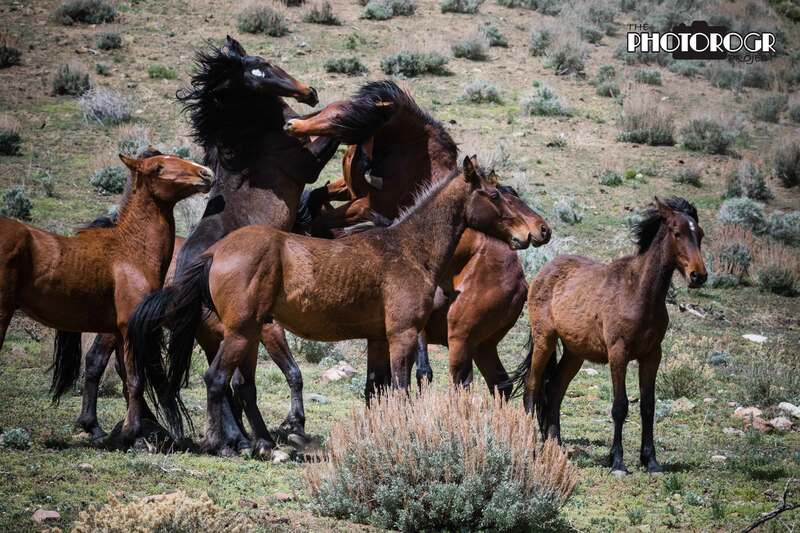 I have a new photographer friend in Carson City who showed me a different group of wild horses. We were standing in a saddle with multiple bands, probably 100 or more horses. There was a group of 16-18 bachelor studs showing us their physical prowess. It was very exciting to see! 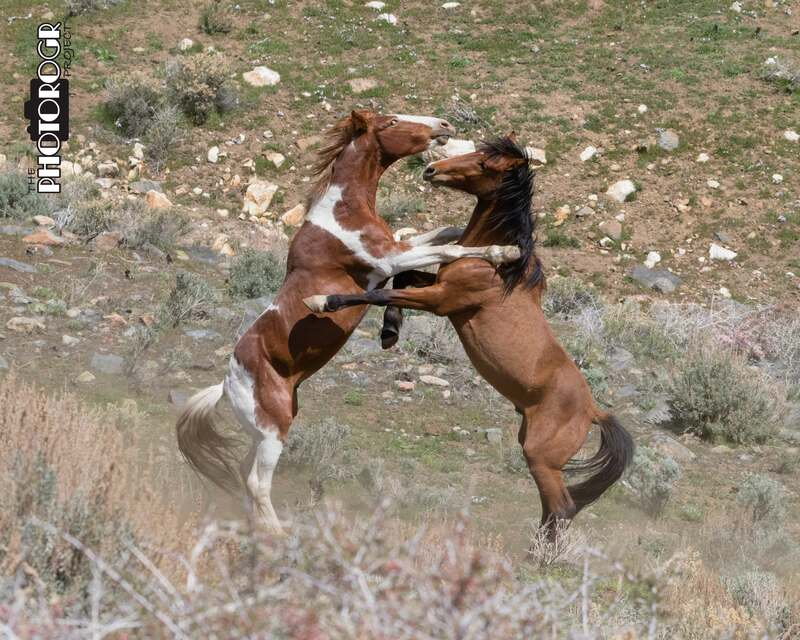 These two started a fight in the middle of the group of horses – a common occurrence during our time there! This is my favorite shot from the day. These two had moved away from the group and were serious for several minutes. I also got a couple shots that were less ‘exciting.’ The scenery shot was featured on a local morning show during the weather report this week. 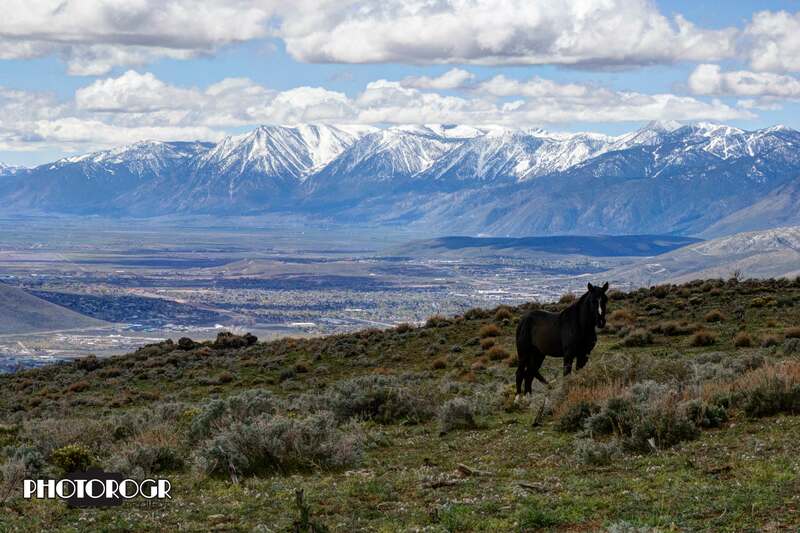 This is the view looking south towards the Carson Valley, and was the featured image on the Channel 2 Weather Report last Wednesday! 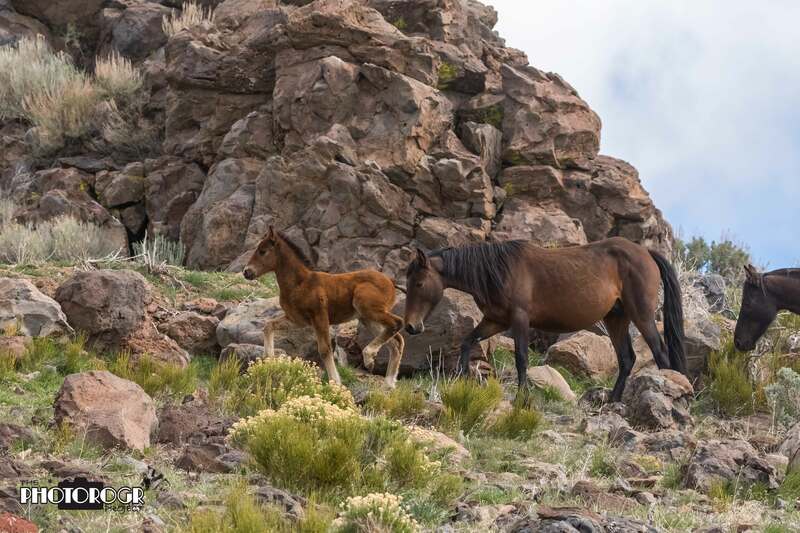 This foal is proudly leading the band up a hill. The rocks made a wonderful background! I had a little fun this week, too. I went to a local ranch to see if the ‘kids’ were out and about, and they were! I also spent a little time in the back yard. Remember Pickup? 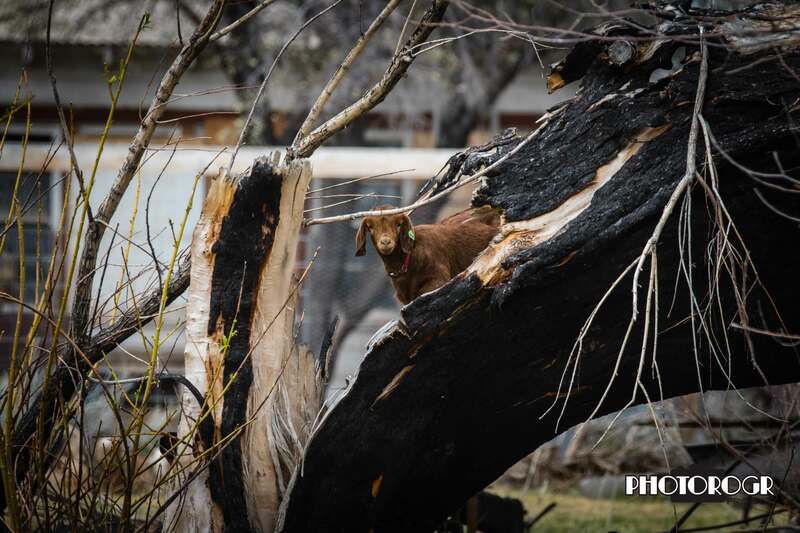 Here he is again – climbing a tree and getting into mischief. You don’t see that every day! 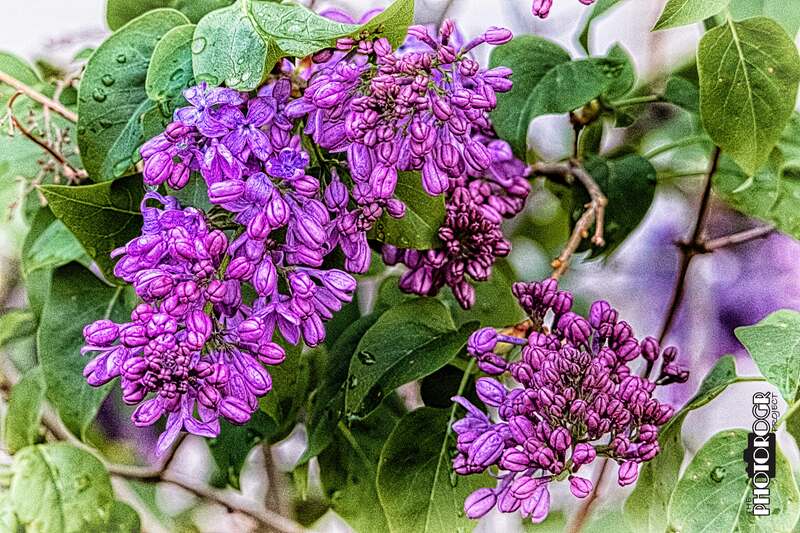 My exploration into macro photography and creative filters continued with these Lilac flowers from our back yard. 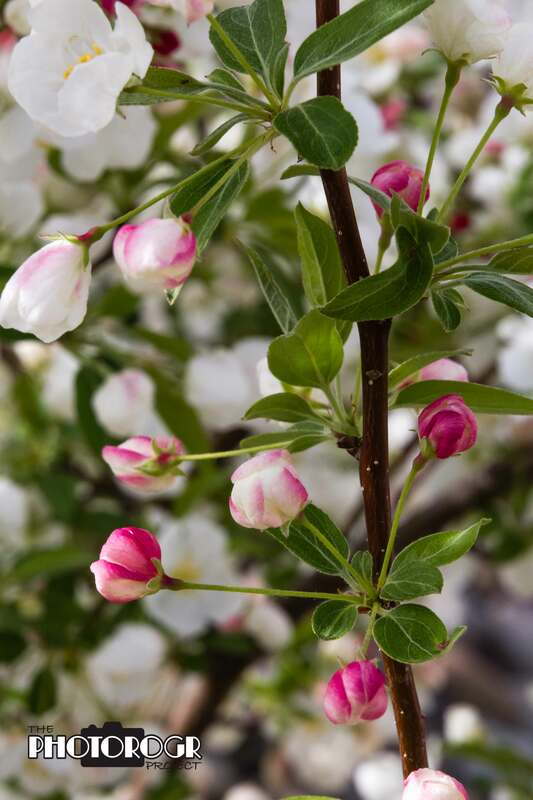 Some flowers from one of our Crab Apple trees. 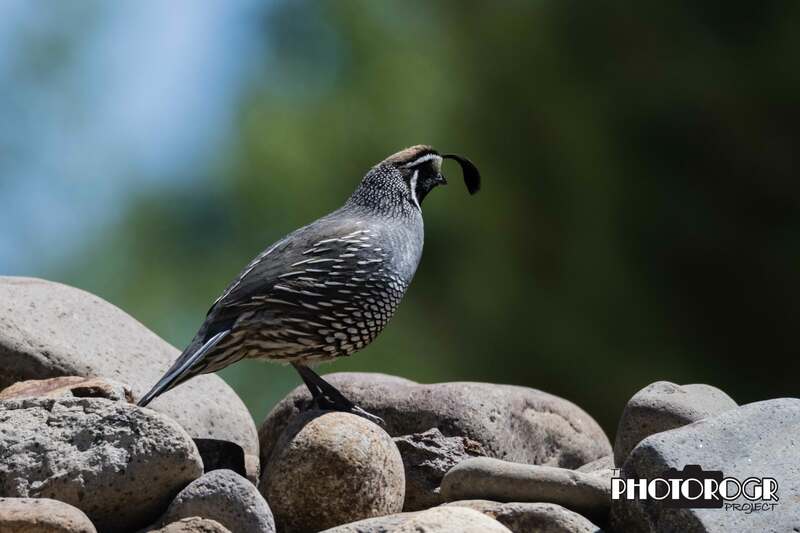 This Quail and its partner were making their way through the plants in the back yard yesterday. By the time I grabbed my camera and headed outside, they had gone up the hillside and were in the rocks. I needed a break from the computer one day last week, so I made an impromptu visit to a location where I’d heard about an Aerie. I wasn’t disappointed. 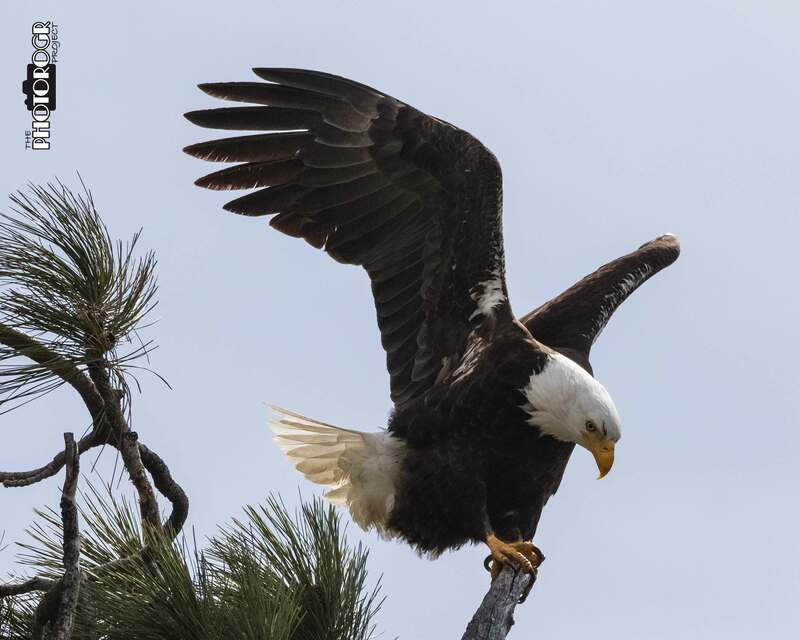 After making several images of this Bald Eagle sitting in the nest, it took flight and gave me quite a show! Here’s a couple from the day! Coming in for a landing. This image was made microseconds after touchdown. 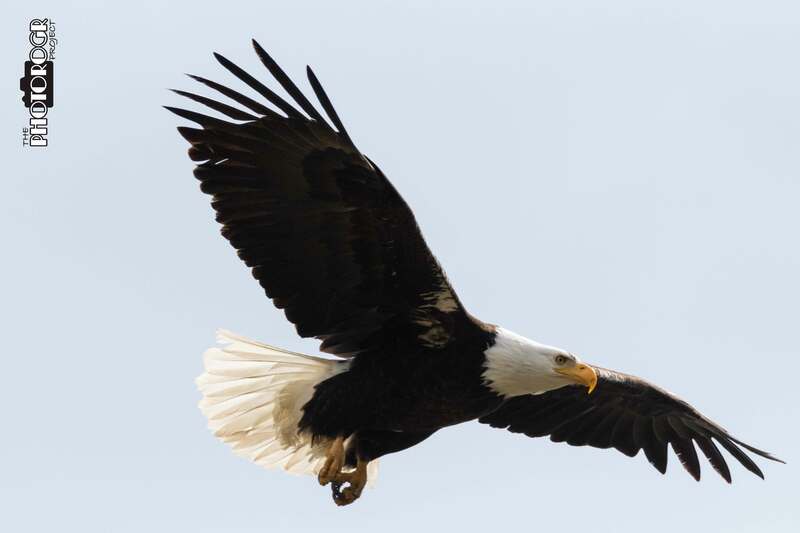 The in flight image. What a magnificent Raptor! Sorry that the blog is short, but I have to finish my presentation, pack my bags, and try to fit in a ride with my ATV group before I head for Winnemucca. I’ll give a report on Shooting the West in my next blog! I look forward to seeing old friends, making new ones, and meeting face to face with people I’ve ‘friended’ on Facebook. Until next time – enjoy!